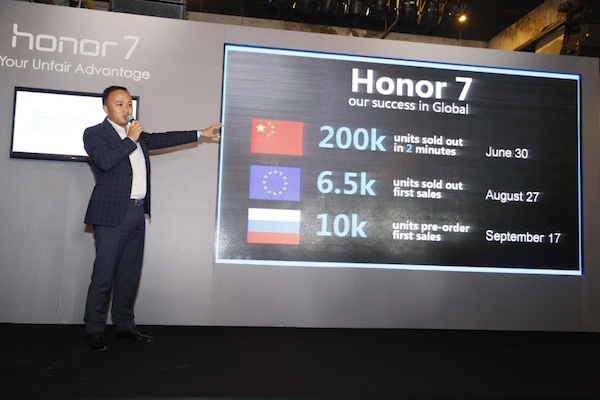 honor 7 empowers Malaysians to outperform | Huawei, a leading global information and communications technology (ICT) solutions provider (the world’s top 3 smartphone vendor), today launched its latest Huawei honor 7 smartphone at The Bee, Publika. 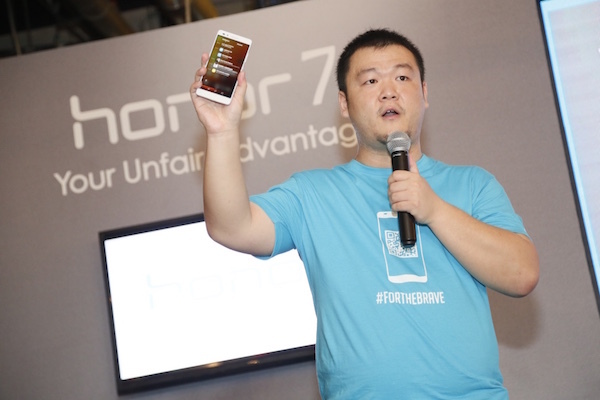 With the slogan ‘Your unfair advantage’, honor highlights that its new, fully metallic flagship device comes equipped with a host of innovative smart functions and multimedia capabilities that will help Malaysians excel in their life. One very important feature of the honor 7 smartphone is that all these capabilities can be unlocked by using smart buttons and a gesture-enabled fingerprint reader. “The device’s precise dimensions and metallic finish offer an optimal form-factor and premium feel, making it a highly reliable smartphone. All of these will allow digital natives to keep their competitive edge in today’s fast paced society,” An added. Established in April 2014, honor Malaysia strives to unleash the maximum potentials of Malaysians and help them to discover their best self beyond any expectation by bringing revolutionary devices to the market. In line of this pursuit, it constantly seeks feedback from its users, of which will be factored in the development of upcoming products to meet the demands. 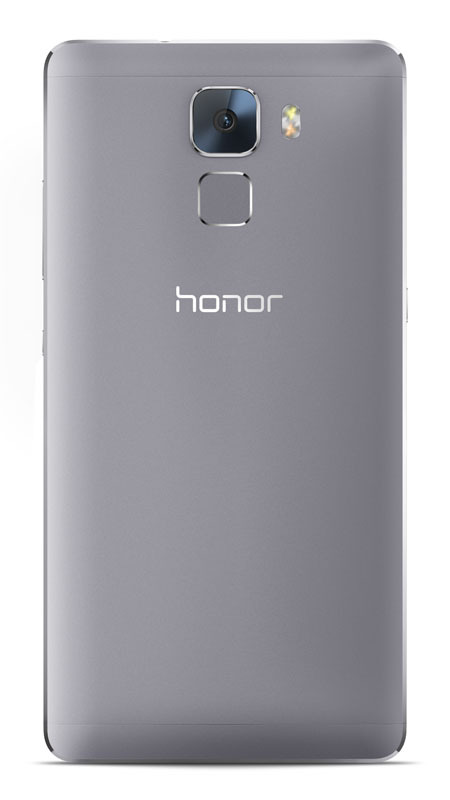 The honor 7’s fully metallic body is air-brushed with a ceramic coating, offering an unmistakably premium finish. The device’s ergonomic 5.2-inch encasing and carefully positioned buttons and sensors meanwhile allows for ergonomic single-handed operation like never before. The honor 7’s frame-free metallic fingerprint reader allows for rapid 360-degree fingerprint authentication from various angles and even boasts a self-learning capability that allows scanning accuracy to be enhanced through the subtle re-recording of registered fingerprints during use. The reader also supports intuitive gesture control that enables users to do everything from answer calls to take photos. Powered by the ever-intelligent HiSilicon octa-core Kirin 935 processor with its A53 and punchy 3GB RAM and 16GB ROM offering, the honor 7 has the muscle to offer consistently smooth performance. Its L-shaped circuit board meanwhile eliminates the possibility of overheating. And when it comes to connectivity, Huawei’s Signal+ technology and a smart dual-antenna design allows for the networks with stronger signals to be found at 80-times the average speed of similar devices. Coupled with a long-lasting 3,100mAh battery, which offers exceptional standby and use times as well as reverse and quick-charging capabilities, the honor 7 is the ideal companion for the always-on and -active. The honor 7’s superior multimedia capabilities are facilitated in part by its 20 MP rear-facing camera, which is powered by a Sony IMX 230 sensor and honor’s PDAF fast-focusing technology that allows its f/2.0-aperture lens to capture strikingly vivid low-light-condition images. The 8MP front-facing camera meanwhile offers a wide-angle f/2.4 aperture lens and built-in LED flash. Complimented by the honor 7’s image enhancement capabilities and panorama feature, it’s the perfect selfie or groufie tool. For the creatively inclined the honor 7 offers a host of personalized filters, while its Good Food mode makes taking professional-grade meal shots a breeze. The device is also equipped with a revolutionary light-painting capability through which users can construct vibrant artistic images. 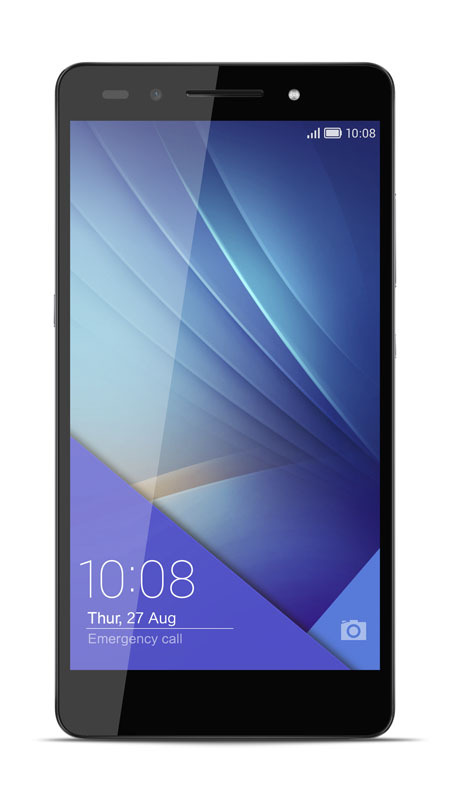 Built to redefine mobile Internet experiences, the honor 7 offers exceptional smart capabilities aided in part by its smart key, an additional button placed on the left-side of the device that can be used for snappy Google searches on-the-go. The equally well placed fingerprint reader on the back of the device meanwhile also functions as a camera trigger, enabling users to take selfies without having to reorient the honor 7. For added convenience, the device features more voice capabilities, such as the ability to be woken up with a designated command, like “Dear honor”. Follow that up with a “where are you” and the device will call the user to find out its location. The honor 7 also makes taking screenshots easier with its knuckle-tap feature that allow users to tap the screen twice with their knuckles for an instant full-screen capture. 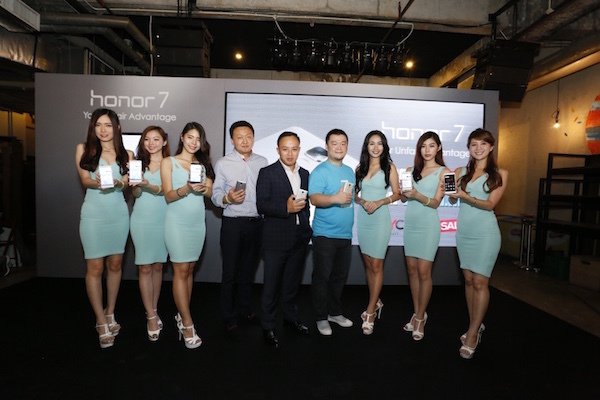 The honor 7 will be available in two colors, Mystery Gray and Fantasy Silver for RM1,399. Pre-orders will be available to the public at Vmall.my from September 22nd, 12.00am onwards.